El-Sayed M. El-Alfy is a Professor in the College of Computer Sciences and Engineering, King Fahd University of Petroleum and Minerals (KFUPM), Saudi Arabia. He holds Ph.D. in Computer Engineering, M.Sc. in Computer Science, M.Sc. in Intelligent Systems, B.Sc. in Computer and Control Engineering (Excllent with Honor). 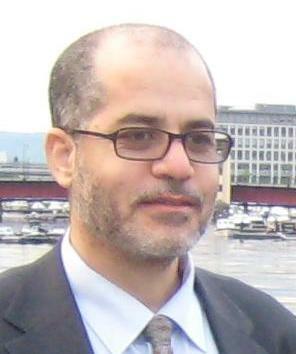 Prof. El-Alfy has been actively involved in several funded research projects and published widely in areas related to intelligent systems, pattern recognition and machine learning, data mining, computer networking and optimization, and multimedia information security. He has co-founded and coordinated the Intelligent Systems Research Group (ISRG) at KFUPM. He has been actively involved in several funded research projects and published numerously in his field of expertise with 160+ refereed journal and conference papers, patents, book chapters and book volumes. Prof. El-Alfy is involved in the development and teaching graduate and undergraduate courses in the areas of pattern recognition, artificial intelligence, soft computing, machine learning, biometrics, computer networking, network design and performance evaluation, data encoding and compression, operating systems, client/server programming, web design and engineering, object-oriented programming, data structures, and programming with C/C#/Java/Matlab. He also chaired the ABET/CAC Accreditation Committee in the Computer Science Department at KFUPM (2008-2012). Prof. El-Alfy has served in the organization of many international and regional conferences and refereed several manuscripts and research proposals for leading journals, conferences and funding agencies. He is Senior Member of IEEE; x-Member of ACM, IEEE CS, and IEEE CIS; Memner of the Egyptian Syndicate of Engineers; on the Editorial Board of a number of International Journals among them Associate Editor of IEEE Transactions on Neural Networks and Learning Systems; Associate Editor of the International Journal of Trust Management in Computing and Communications. He is als a technical committee member of CIS ADPRL, and ComSoc CISTC & CNOM. Prof. El-Alfy received several awards, certificates and recognitions among them King Abdullah Award for the Translation of Computer Networking textbook in 2012, Distinction Award for Excellence in Teaching from KFUPM in 2011, Outstanding Undergraduate Student (1986-1991), listed in Marquis Who’s Who in Science and Engineering, listed in the 26th Edition of Marquis Who's Who in the World, 2009, listed in the 2000 Outstanding Intellectuals of the 21st Century, IBC, Cambridge, UK, 2009/2010.